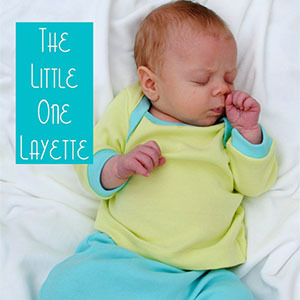 The Little One Layette offers four patterns for a complete wardrobe for the newest member of your family, including the Jamie Jumper, gown, and pants. 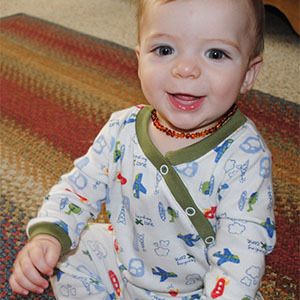 In sizes from newborn to 12 months, all pieces are sewn with cotton or cotton blend knit fabrics. The Jamie Jumper, a full-length romper, designed with short- or long-sleeves, that snaps up one side. 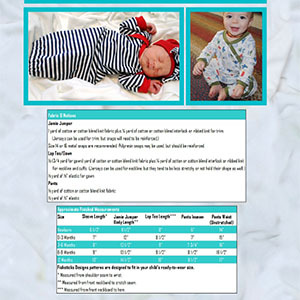 The laptee which can also be sewn with short- or long-sleeves makes for quick and easy changes when pulling on and off over those sweet newborn heads. 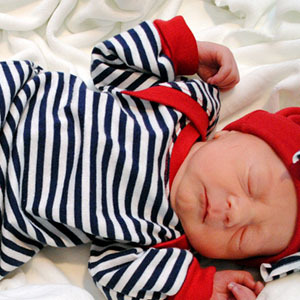 The gown in sizes NB and 0-3 months has the same neckline as the laptee and is perfect for easy diaper-changing during those early months. The simple pants are designed with plenty of room in the bum for cloth diapers and the seamless back makes them perfect for embroidery!